Since the time DDC Laboratories India has opened up a collection center in Jaipur, the pink city, now people know that the criminals cannot escape the sharp claws of DNA test. People are also thankful since they can also unite with their relatives who are abroad by proving their relationship by a simple DNA Test in Jaipur Rajasthan. DNA test can also be done for infidelity cases. Taking samples from bones and even form dead body parts that are available can identify dead bodies. Prenatal tests can also be performed and for this invasive or non-invasive method can be used. It can be done to detect your past by Ancestry test. We do embassy approved DNA tests in case of immigration for countries like the UK and others in case of applications to check associations between family members when necessary documents are not presented. We are allied to DNA Diagnostics Center Inc. USA, the world leader in providing AABB accredited DNA testing services. Your sensitive DNA test results always remain confidential, and our testing laboratory is trusted around the world. 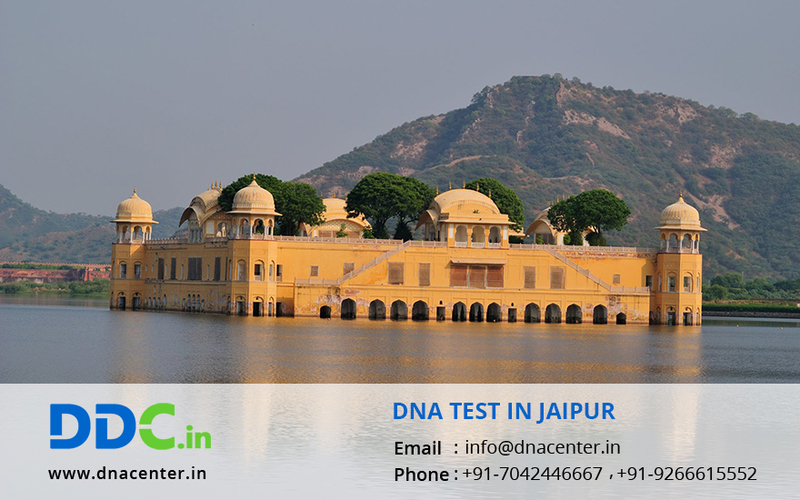 For DNA Test in Jaipur Rajasthan, you can contact as per your choice either by giving us a call at: +91 7533008488 or by filling the below given form and our customer representative will give feedback as soon as possible.